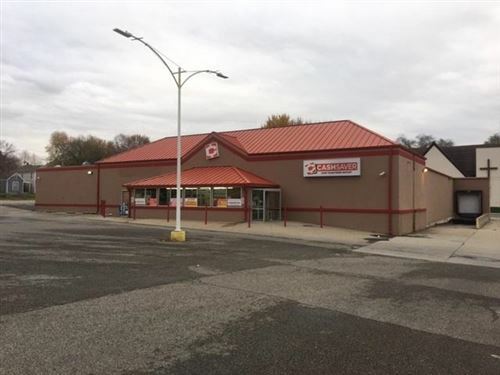 Suite D, approximately 11,110 SF available of former grocery building at 22nd & Frederick. Suitable for office or retail. 7,180 SF retail space and an additional 3,090 SF warehouse space. Dollar-type store restricted. 12,000 VPD on Frederick. Zoned C-3. 520 SF common vestibule included in CAM charges. 3,800 SF basement accessible to tenant. MLS Data was last updated on 4/21/2019. The information displayed on this page is confidential, proprietary, and copyrighted information of Heartland Multiple Listing Service, Inc. ("Heartland MLS"). Copyright© 2019, Heartland Multiple Listing Service, Inc. Heartland MLS and Coldwell Banker All American Realty do not make any warranty or representation concerning the timeliness or accuracy of the information displayed herein. In consideration for the receipt of the information on this page, the recipient agrees to use the information solely for the private non-commercial purpose of identifying a property in which the recipient has a good faith interest in acquiring.